Julie Mehretu was awarded the Medal of Art for her longtime contributions to Art in Embassies and cultural diplomacy on January 21, 2015. 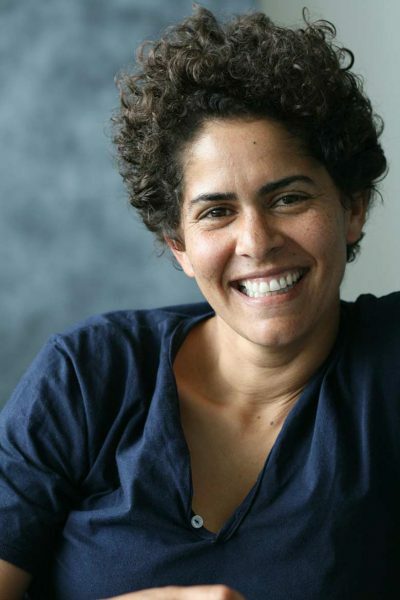 Julie Mehretu was born in Addis Ababa, Ethiopia, in 1970 and lives and works in New York City and Berlin. She received a Master’s of Fine Art degree with honors from The Rhode Island School of Design in 1997. Mehretu is a recipient of many awards, including the the MacArthur Award (2005), the Berlin Prize: Guna S. Mundheim Fellowship at The American Academy in Berlin, Germany (2007), and the Barnett and Annalee Newman Award (2013). She has shown extensively in international and national exhibitions. Recent solo shows include Julie Mehretu: The Mathematics of Droves, White Cube, Sao Paulo, Brazil; Julie Mehretu: Half a Shadow, carlier|gebauer, Berlin, Germany; Liminal Squared, Marian Goodman Gallery, New York City (2013), White Cube, London (2013); Mind Breath and Beat Drawings, Marian Goodman Gallery, Paris (2013); Mehretu: Grey Area, Deutsche Guggenheim, Berlin, and The Soloman R. Guggenheim Museum, New York City(2009); Julie Mehretu: City Sitings, The Detroit Institute of Arts, Michigan (2007), Williams College Art Museum, Williams, Massachusetts (2007), North Carolina Museum of Art, Raleigh (2008). Mehretu’s work is in important public collections around the world, including The Brooklyn Museum, New York; The Contemporary Museum, Honolulu; Des Moines Art Center, Iowa; Foundation Sorigué, Lleida, Spain; Hammer Museum, Los Angeles; Kupserstichkabinett, Berlin; Louisiana Museum of Modern Art, Hummelbaek, Denmark; Museo de Arte Contemporáneo de Castilla y León, Spain; The Museum of Fine Arts, Boston; Museum of Fine Arts, Houston; National Gallery of Art, Washington, D.C.; Philadelphia Art Museum, Pennsylvania; San Francisco Museum of Modern Art, California; Walker Art Center, Minneapolis; and the Whitney Museum of American Art, The Museum of Modern Art, and New Museum of Contemporary Art, all in New York City, among others.